Flemish engraver. By the time he was twenty-four, he had become a master in the Antwerp guild and was the primary artist responsible for making engravings after the work of Peter Paul Rubens. In fact, Pontius lived in Rubens s home until a year after the painter s death. Having trained as a painter prior to studying engraving, Pontius developed a style "that accurately conveys the nature of the original painting." 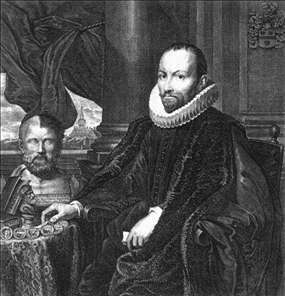 After Rubens s death, Pontius went on to make engravings after other artists, including Anthony van Dyck, Titian, and Velzquez. He also became very well known as a portrait engraver. See more details about "Portrait of Nicolaas Rockox"